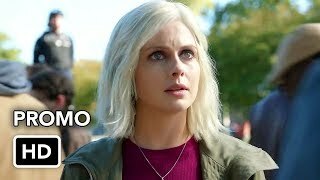 iZombie 4×06 “My Really Fair Lady” Season 4 Episode 6 Sneak Peek #2 – RACHEL BLOOM (“CRAZY EX-GIRLFRIEND”) GUEST STARS — Liv (Rose McIver) and Clive (Malcolm) investigate the murder of a pretentious theater actor (guest star Rachel Bloom “Crazy Ex-Girlfriend). Meanwhile, Ravi (Rahul Kohli) makes a huge sacrifice for Peyton (Aly Michalka). Lastly, Blaine (David Anders) makes a startling discovery. 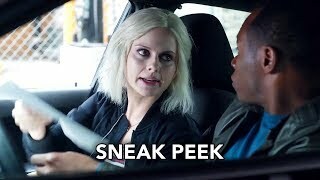 Malcolm Goodwin and Robert Knepper also star. Tessa Blake directed the episode written by Graham Norris (#406). Original airdate 4/9/2018.